Above: Visible satellite image of Hurricane Chris at 11:45 am EDT July 11, 2018. 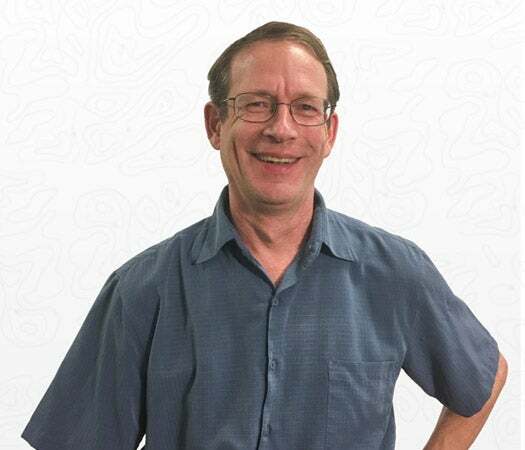 At the time, Chris was a Category 2 storm with 100 mph winds. Image credit: NOAA/RAMMB. 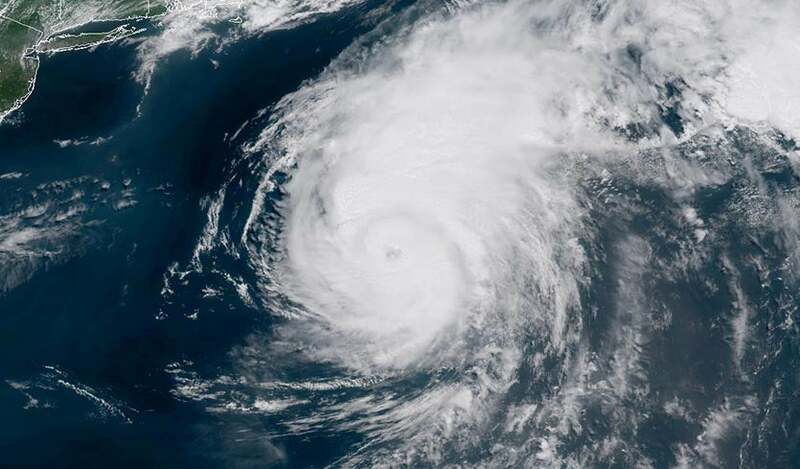 Hurricane Chris peaked as a Category 2 storm with 105 mph winds early Wednesday morning, but had weakened slightly to 100 mph winds at 11 am as it sped northeastward at 22 mph towards Newfoundland, Canada. Chris’s strong winds were kicking up high surf along the Mid-Atlantic and Northeast U.S. coasts on Wednesday, and much of the coast will remain at high risk of rip currents and minor coastal flooding from Chris through Thursday. One death from rough surf has already been blamed on Chris: a 62-year-old man that died on Sunday in the waters of North Carolina's Outer Banks. 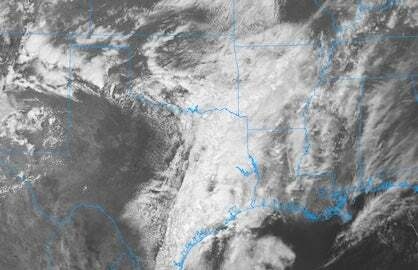 Satellite imagery on Wednesday afternoon showed that Chris was a medium-sized hurricane with a prominent eye. It is possible Chris could strengthen slightly during the day Wednesday, as the hurricane will be over the warm waters of the Gulf Stream with temperatures near 26.5°C (80°F), and under moderate wind shear of 10 – 20 knots. However, by Wednesday night, Chris will encounter high wind shear of 30 knots and cold ocean temperatures of 22°C (72°F). These conditions should lead to steady weakening, and Chris is likely to fall below hurricane strength by Thursday afternoon, when it will be approaching southeastern Newfoundland. Chris will pass well south of Nova Scotia on Thursday morning, bringing a few wind gusts of tropical storm-force accompanied by up to an inch of rain. Late Thursday afternoon into Thursday evening, when Chris is expected to transition into a powerful extratropical storm with 70 mph winds, southeast Newfoundland's Avalon and Burin Peninsulas--including the provincial capital of St. John's--can expect sustained winds of 30 – 40 mph. However, the main threat from Chris in Newfoundland will likely be locally heavy rain of 1 - 3", with isolated amounts up to 6". These rains will be capable of triggering flash flooding Thursday afternoon and evening. Conditions will improve quickly in Newfoundland overnight Thursday and early Friday morning as post-tropical Chris races away at 30 – 35 mph into the north Atlantic Ocean. Figure 1. 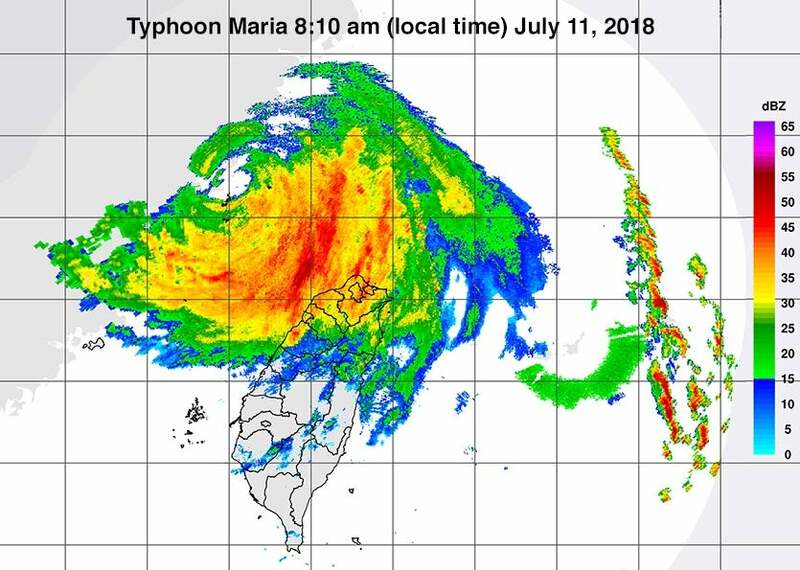 Radar image of Typhoon Maria at 8:10 am local time July 11, 2018 as the storm was making landfall in China’s Fujian Province. At the time, Maria was a Category 2 storm with 110 mph winds. Image credit: Central Weather Bureau, Taiwan. A weakening Typhoon Maria made landfall near 9:10 am Wednesday (local time) in Lianjiang County, in east China's Fujian Province. At the time, the Joint Typhoon Warning Center classified Maria as a high-end Category 2 storm with 110 mph winds. A wind gust of 59.3 meters per second (132.6 mph) was measured in Xiapu County's Sansha district, said Fujian Meteorological Bureau in a Weibo post. There are no reports of major damage or casualties in China yet, but it is still too early to get a comprehensive view of Maria’s damage in China. Figure 2. 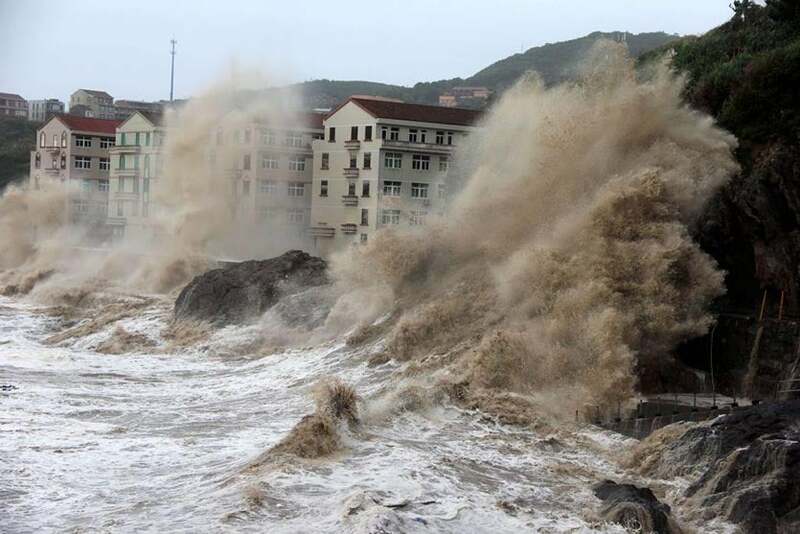 Waves caused by Typhoon Maria batter the coast near Wenling, east China's Zhejiang province on July 11, 2018. Image credit: AFP/Getty Images. 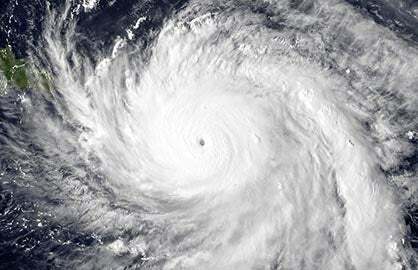 Earlier in the day, Maria lashed the northern portion of Taiwan, causing two injuries. According to Taiwan’s Central Weather Bureau, at least 16 sites on the island measured more than 10” (254 mm) of rain from Maria, with a storm-high 16.02" (407 mm) falling at Youkeng. Prior to that, Maria powered through Japan’s Miyako Islands, delivering a direct hit to Miyakojima Island (population 56,000) as a Category 3 storm with 125 mph winds. 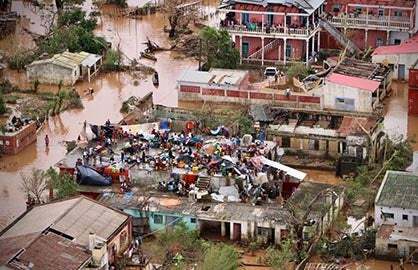 Maria’s landfall there, at approximately 2 am EDT July 10, marked the first landfall by a major (Category 3 or stronger) tropical cyclone of the 2018 Northern Hemisphere season. Storm chaser James Reynolds rode out the typhoon in Miyakojima, and has posted a number of impressive videos of the landfall.